This is Anderson: A Taste of Anderson - A Tasty Success! 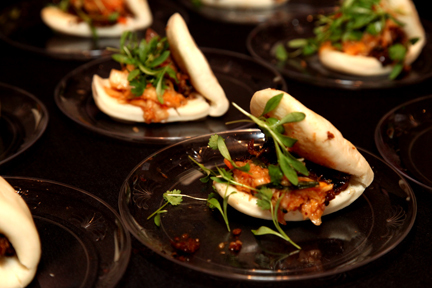 Top chefs from Albuquerque's most popular restaurants created quite a smorgasbord Thursday evening at the Taste of Anderson event. 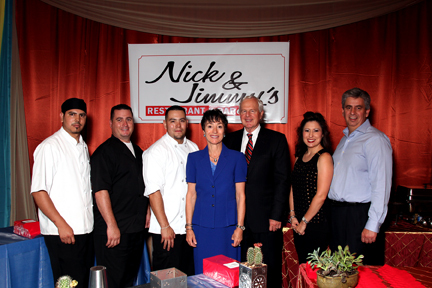 Guests sampled dishes while supporting the Rick and Debbie Johnson Marketing Center. Debbie Johnson was thrilled with the large number of supporters who attended the event, now in its third year. 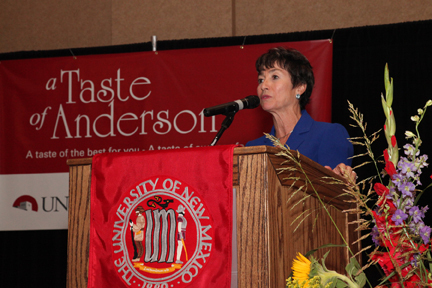 Guests feasted on a variety of innovative cuisine, wine, champagne, and dessert creations while raising money for marketing students and scholarships at UNM Anderson. Those is attendance were treated to tasty samples from twenty restaurants including: Savoy, The Artichoke Café, Scalo, Yanni’s, Nick and Jimmy’s, Marcello’s, Scarpas, Nob Hill Bar and Grill, Seasons ,Zinc, Chow’s, The Cooperage, El Patron, Fan-Tang, Farina Pizzeria & Wine Bar, Farina Alto Pizzeria & Wine Bar, Hotel Albuquerque at Old Town, Kellys Brew Pub, and UNM Chartwells. 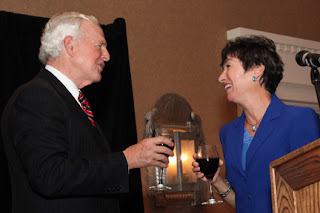 A toast to Dean Doug Brown and Debbie Johnson! The Johnson Center is about creativity in marketing and business. The name for A Taste of Anderson came from a room that Rick and Debbie had at their ad agency called the creative kitchen where this innovative couple “cooked up” creative ideas.